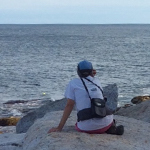 Donna Sandstrom is the Founder and Executive Director of The Whale Trail. Concerned about the decline of the endangered Southern Resident Killer Whales (J, K and L pods), Donna founded The Whale Trail in 2008 with a core team of partners. From 16 inaugural sites in Washington there are now more than 100, spanning the west coast from California to British Columbia. Donna is currently serving as a member of Governor Jay Inslee’s Task Force on SRKW Recovery. Prior to founding The Whale Trail, Donna had a 14-year career in software as a project and team manager at Adobe Systems. In 2002 she was a citizen participant in the successful effort to return an orphaned orca, Springer, to her pod and native waters. She is currently working on a middle grade non-fiction book about Springer for Kids Can Press, scheduled for publication in Fall 2020. Donna attended UC Santa Cruz 1974 to 1979 where she studied psychobiology. She lives in West Seattle with housemates Chester and Maisie. 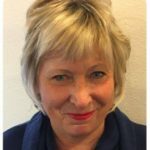 Ann Butler recently retired from a career in health promotion and communication at the Washington State Department of Health. Her previous experience includes environmental education, watershed management, public involvement and social marketing. 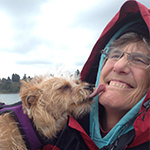 Ann enjoys hiking, cycling and swimming in Puget Sound. Naki Stevens lives in Olympia on the shores of Puget Sound and has spent her long career as an environmental activist, with most time spent on Puget Sound protection and restoration, first at the Puget Sound Water Quality Authority, then People For Puget Sound, Restore America’s Estuaries, and the National Audubon Society. In her final job, she was senior advisor on Puget Sound to Peter Goldmark, Commissioner of Public Lands and head of the state Department of Natural Resources. Naki currently works part-time at Interfaith Works on poverty and homeless issues and full-time taking care of and enjoying her dog, Chloe.